At Ela Motors, the reliability of its telecommunications network is almost as important as the reliability of the vehicles it sells. With 50 years’ experience operating in PNG, Ela Motors is a well-established business and major employer with a network of 16 dealerships spread throughout the country. Not only a successful business in itself, Ela Motors helps make other businesses successful with companies all over the country relying on its Toyotas, Hinos and Yamahas to take them safely to where they need to be to do their job. Being able to reach customers and dealerships wherever they are located is paramount for Ela Motors. Critical to its service is internet and phone reliability, branch network efficiencies as well as mobile and fixed voice services. All of which are needed in real time, 24 hours a day, seven days a week. This can sometimes create challenges in the PNG environment, which is home to varying terrain and a dispersed population. Gary Cobain, Head of Digicel Pacific ICT Business Solutions, said Digicel first started working with Ela Motors in 2014. “In 2014, Ela Motors was starting to outgrow its communication system, which was not meeting its data requirements,” Gary said. After an evaluation of the market, Ela Motors chose to partner with Digicel Business Solutions as the company that can provide them the solutions they need. The company urgently needed additional bandwidth and Digicel Business Solutions recommended it move to a microwave network which it installed on schedule and on budget in 2015. This helped Ela Motors capitalise on Digicel’s nationwide coverage, vital to it conducting its business. Digicel Business Solutions also set about improving the reliability and response times of its communications services for Ela Motors and providing more secure communications with its customers and its dealerships. Ela Motors described the customer care experience received from Digicel Business Solutions as exceptional. It has resulted in a dramatic change in its network and communication channels. This has seen benefits throughout the business. 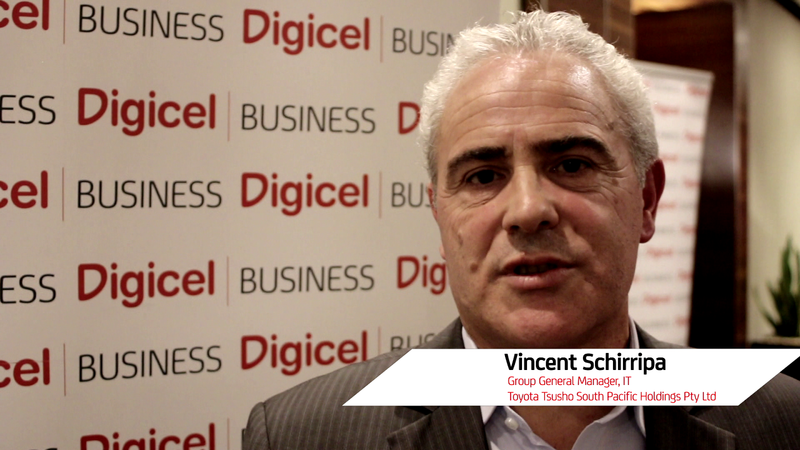 Vincent Schirripa, Group General Manager IT for Ela Motors’ parent company Toyota Tsusho South Pacific, sees Digicel Business Solutions as a partner, not a vendor. “Digicel understands the regional challenges and provides real value to our business,” he said. The communication network established by Digicel Business Solutions is still meeting Ela Motors’ performance metrics. It helps the company providing the most reliable services needed to support its customers and dealer network throughout PNG, with a world-class standard.